Home Bagumbayan Eventful Events General Otis Government Heroes Historical Events Martyr Quiapo Spanish Colony Today in Philippine History – 4th day of January. Today in Philippine History – 4th day of January. 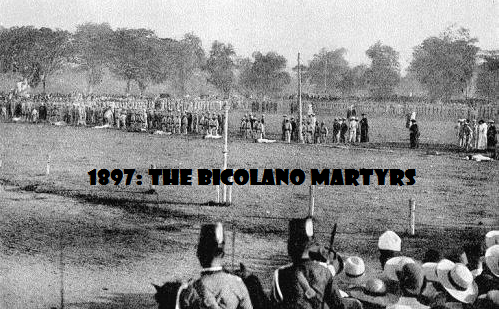 In the past of Philippine today in the 4th day of 1897, 11 Bicolano martyrs in Bagumbayan were executed. They were also said to be the first victims of the Spanish cruelty under Governor-General Camilo G. de Polavieja’s administration. 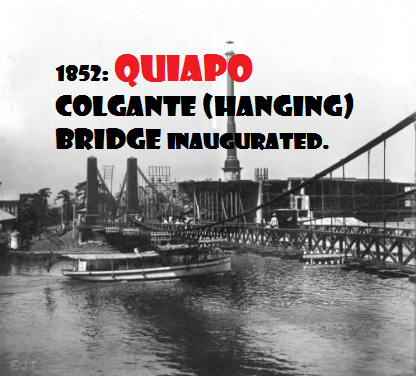 TRIVIA II: 1852: Quiapo Colgante (hanging) Bridge inaugurated. Construction on the Puente Colgante bridge across the Pasig River started in 1849 and was completed in 1852. This bridge was where the Quezon Boulevard bridge is today. TRIVIA III: 1899: General Otis proclaims US sovereignty over Philippines. Thank you for visiting apttrendingph.com. If you have any other recommendation to make this site more fruitful and accurate in promoting and giving news about the Philippines, you are more welcome to write down your comments, suggestion and feedbacks below. You may also share the this post if it is helpful. MABUHAY ANG PILIPINAS.